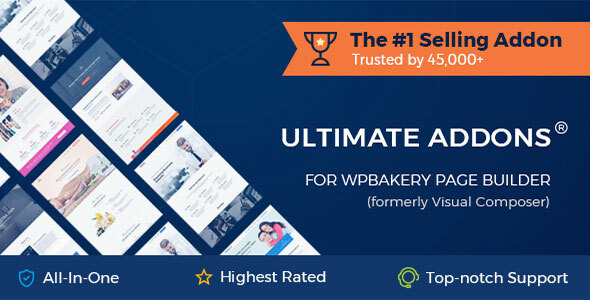 WPBakery Page Builder (Formerly Visual Composer) has been growing in popularity since early 2011, when the plugin was officially published on a premium marketplace. Although more than 500,000+ websites are using Visual Composer today. It gives you full control over responsiveness. Create responsive websites automatically or adjust preferences you need to ensure your WordPress website looks perfect on mobile or tablet. WPBakery Page Builder has everything it takes to create a responsive website. Save your money on purchasing different devices with WPBakery Page Builder Responsive Preview available out of the box. Additionally, most of the elements come with both a light and a dark version so that you can easily integrate them into different design aesthetics. 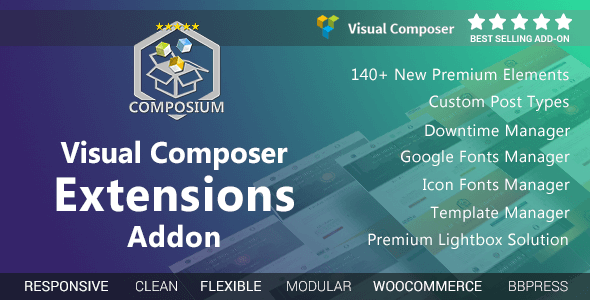 Mega Addons For Visual Composer ~ The biggest Addon bundle for Visual Composer With 28 addons. 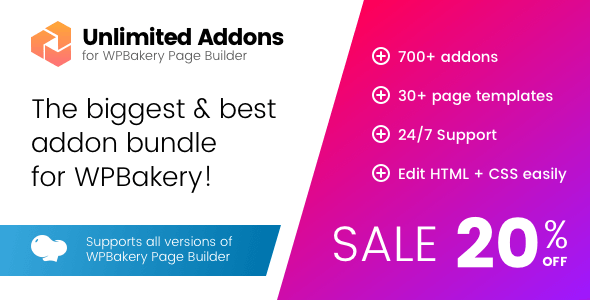 This Addon Bundle provide you everything for your Visual Composer Page Builder. 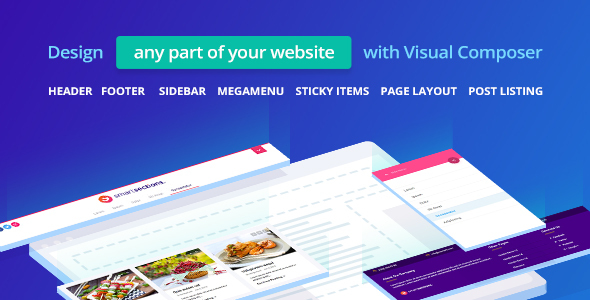 Addons for Visual Composer features professional looking, easy to use yet highly functional extensions that can be used in a WPBakery Visual Composer page builder. There are lot of features that make It unique such as CSS3 animations, comparing pricing table, Info Banners, Team profile, Image hover effects, 3D Flip book etc. Addon Library is an endless suite of addons that lets you design & develop Visual Composer pages with endless possibilities. Managing addons is now easy fast & fun. It doesnt matter if you are a beginner or an advanced Visual Composer user the addon library is the best tool you can find to extend Visual Composer to it’s limits. As can be seen above, the free extensions for Visual Composer are great in their own way, combining all of them together could create for a truly remarkable designing experience that will enrich and enliven even the most forgotten WordPress themes. 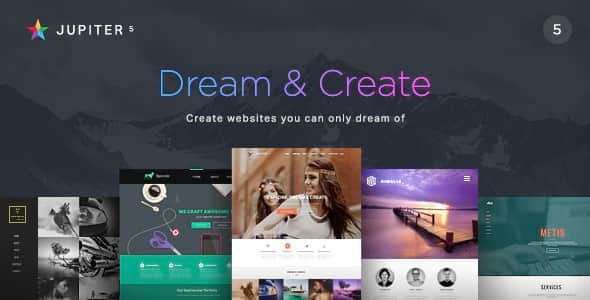 That’s one thing that we absolutely adore about VC, it’s ability to adapt to any WordPress theme and allow the user to create a new and profound experience that will leave others questioning as to how this theme can look so great, and where one needs to look to make their theme as great themselves. We are marching into premium extension territory now, where in total the following premium addons have been downloaded over 100,000+ times and are being used on millions of websites combined. Take your time to thoroughly investigate each of the extensions and addons, and see how well they would fit in your planned design strategy. 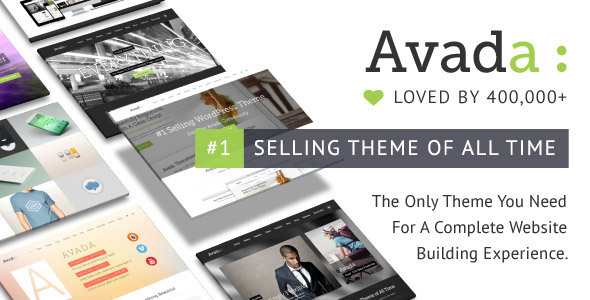 The Ultimate Addons is one of the highest rated and best selling addons for Visual Composer and no wonder. 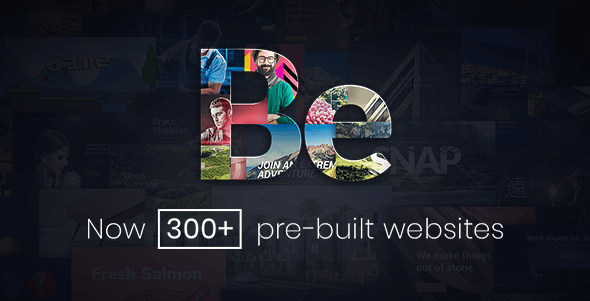 With 20 updates since its inception, this is an addon that works consistently to stay ahead of the competition and deliver a product that meets the needs of a wide range of designers. Wish to create more detailed descriptions about what you or your business has to offer? Use information boxes element to create beautiful info boxes that highlight your most important business details. Tired of using traditional WordPress lists? Why not give information lists element a try and see how spectacular your lists look after. Want to create overlay effects for your images that would incorporate call to action calls — easy, just use the flip box element and you will be all set. What about discussing your achievements with your readers and customers? A specifically built timeline (that looks much like what Facebook has to offer) allows you to outline your achievements and important events during your existence. Massive Addons is one of the most complete packages for extending the functionality of Visual Composer. 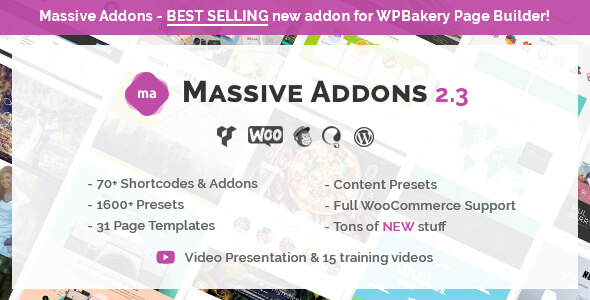 Massive Addons gives its users the opportunity to use a huge number of tools: more than 1700 presets, 35 page templates, 70 shortcodes and additions, 5000 settings, 15 tutorial videos and much more to explore and use on your WordPress site or blog. Shortcodes are the most convenient and popular way to add elements to the design of your site. Massive Addons has 63 ready-made shortcodes that can be useful to your WordPress site. However, you can use not only ready-made options. Virtually all the features of each shortcode can be edited — from colors to animation effects. If you do not know where to start working on the design of your new WordPress project, then you probably will need to use 35 ready-made page templates. These templates are easily edited in accordance with the theme of your site and the individual needs of your target audience. Using the template will help to develop the idea from scratch, even when the inspiration leaves you. 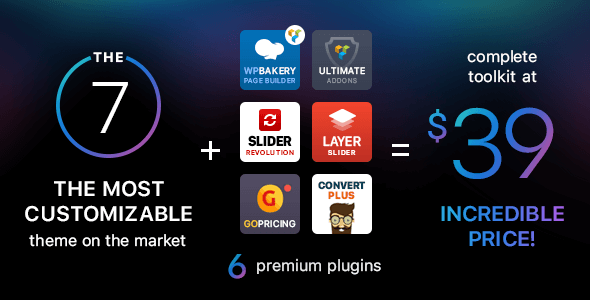 Unlimited Addons Mega Bundle is a huge package of useful tools to improve the great opportinities of the Visual Composer plugin. Unlimited Addons Mega Bundle includes more than 500 different add-ons. These add-ons will not only allow you to extend the functionality of Visual Composer, but also allow you to save a significant amount of money compared to the purchase of each tool separately. Unlimited Addons Mega Bundle has 30+ different categories for add-ons that are included in its composition. This way you can easily navigate through all the variety of tools that will be available to you with this package for the Visual Composer plugin. 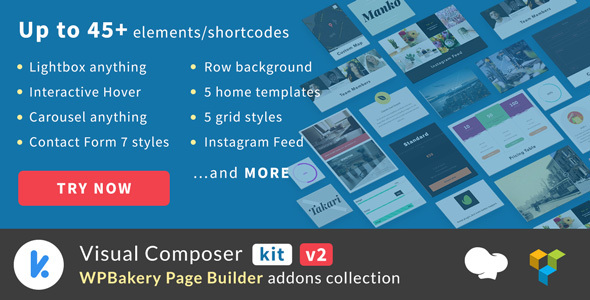 Visual Composer KIT is one of the latest Visual Composer addons at CodeCanyon, having hit the market in early April. 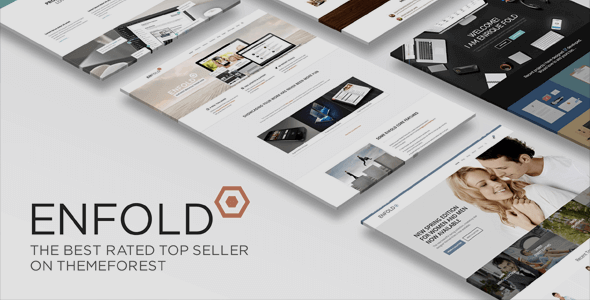 With over 40 beautifully designed elements and highly customized features, this all-in-one addon will most certainly be a major player at CodeCanyon in the coming months and years. Visual Composer KIT is a must have WordPress Addons to work perfectly with WPBakery Page Builder for WordPress. With the collection of outstanding features, this plugin will be the greatest help for you to build an amazing WordPress website. Easy-to-use is one of our focus so don’t worry if you are not a master in web development, our Visual Composer Addons does not require coding experience. Get ready for the highlight site with happy customers, our support team promises to accompany until meeting your expectation. Templatera is a unique addition to Visual Composer, which allows you to create universal functional elements for posting on any pages of your WordPress site or blog. The main advantage of Templatera is that you can edit the created element once and its content will automatically change on all pages of your site where it was posted. This functionality provides significant flexibility for all the site blocks that you create with Visual Composer. Manage templates from one place and instantly see changes without digging into each individual piece of layout. Create a set of pre-defined content blocks (pieces) and use them at any place of your site. Forget about back and forth page updating – it is all taken care of. Magically! And yes, you can easily edit them whenever you wish! Smart Sections is a WordPress Plug-in that you can visually edit and customize any part of your website with WPBakery Page Builder a.k.a. Visual Composer. You can create a new horizontal or vertical headers for your website and replace it with your default theme header. You can also create footers, sidebars, mega menus, sticky items, mobile menus and layout for content pages. You can even create listing card design templates for post grids or your archive pages with WPBakery Page Builder. While you can set a different header for single blog posts, you can assign an entirely different one to a specific archive page or the home page. You can even customize your search results page with an entirely different header or footer or display a specific sticky section. You can display your sections just at the right time, for example, when a specific section on the page is visible on the screen when the visitors scroll the page, or when the page is scrolled within specific position in pixels, or when a toggle button is clicked. You can also determine the delay and duration of the visibility of your sections. We have created over a hundred different Smart Section demos for you to import with a few clicks and start using right away or customize according to your requirements.